Interested participants must submit the following requirements: a duly completed application form, a one-page synopsis of not more than 300 words, and a detailed sequence treatment (between 50-60 sequences, double spaced, letter-sized bond paper, with a one inch margin all around, 12 points, Courier). Name(s) of proponent(s) must not be written on any page of the synopsis and detailed sequence treatment. The filmmaker must submit a brief résumé/bio-data, two recent 2x2 photos, samples of previous film/video work in DVD. 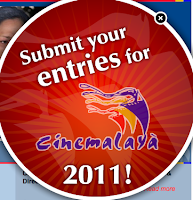 All entries must be submitted in a long brown envelope properly labelled with filmmaker’s name, title and contact details. The Full Length feature (New Breed) category is open to Filipino filmmakers who have not yet directed more than three full length commercial feature films while the Directors Showcase is open to full length feature works by Filipino directors who have directed at least three (full-length commercial feature films. Ten finalists will be chosen for the Full Length Feature (New Breed) category. Each will receive a P500,000 seed grant from the Cinemalaya Foundation as investment for the production. The Best Full Length Feature Film will receive a prize of P200,000 and the Balanghai Trophy. Five finalists will be selected for the Directors Showcase. Each will receive a P500,000 seed grant from the Cinemalaya Foundation. The Best Film in the Directors Showcase will receive a prize of P300,000 and the Balanghai Trophy. Cinemalaya seeks to discover, encourage, and honor the cinematic works of Filipino filmmakers that boldly articulate and freely interpret the Filipino experience with fresh insight and artistic integrity. The works will be narrative that features that articulate Filipino identity and culture in digital format. For the detailed mechanics of this competition, click here.